This is very much a catch up post to bring you up to date with my activities since returning from Hamburg. Once I was back it was straight into action with my Club’s business meeting on the night I returned. 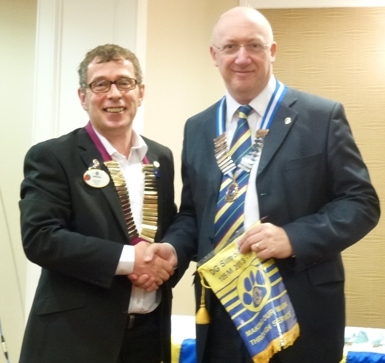 A good first meeting for new president Geoff. 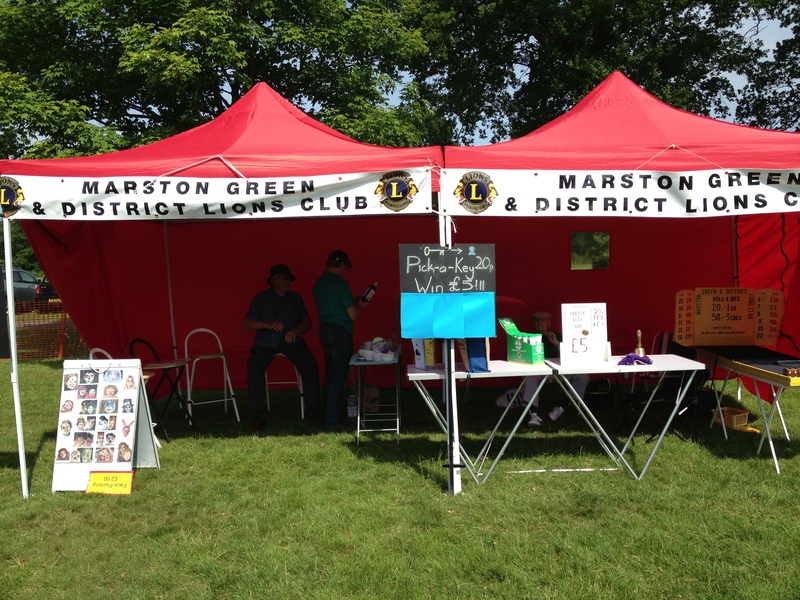 After two days back at work, the weekend brought more lions activities with my club’s attendance at Shirley Carnival on the Saturday. Last year the event got rained off and had to be restaged in September. This year it was fine and very hot which kept people away and reduced our takings. It was nevertheless a fun day and was good to see so many lions clubs represented there. 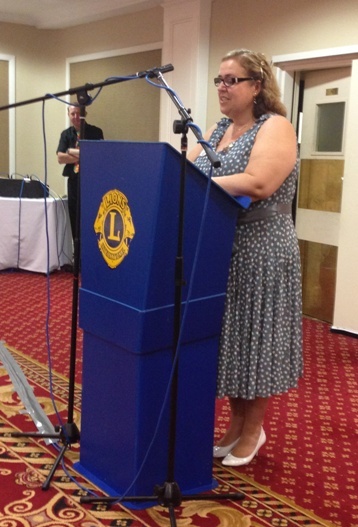 Sunday 14th July was my wife, Christine’s, birthday and, not being one to turn down the opportunity for a cheap date, I had accepted an invitation to be the guest of Sutton Coldfield and Erdington Lions Club’s charter anniversary dinner. 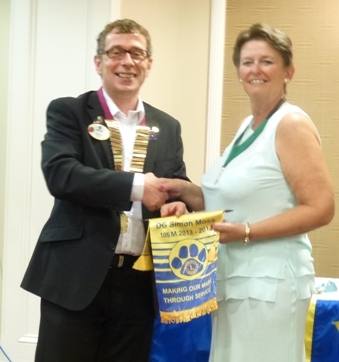 Another excellent event and my first official function as District Governor. Friday 19th July saw me at our Multiple District Headquarters in King’s Heath as visiting DG at the Council of Governors Advisory Committee (CAC) meeting. This is a meeting for the Multiple District portfolio coordinators for Health Youth and International activities as well as the council Chairman, Secretary and Treasurer to discuss the reports to be presented to the Council of Governors a week or so later. On Sunday 21st July was our District Handover event. This is where last year’s DG can present his final thoughts on the year just gone, hand the chain of office to the incoming DG (again!) and where the incoming DG introduces his district cabinet for the year. Nearly 100 lions and guests turned up including, I am pleased to say, several who were not incoming cabinet officers. 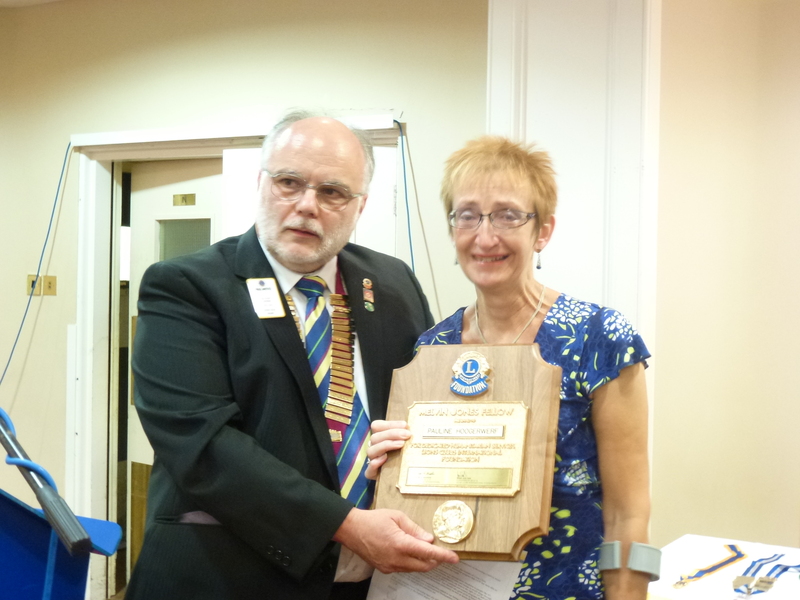 During outgoing DG Paul’s bit he handed over to his wife Jackie to report on her partner’s project for the year. Around £10,000 had been raised for the Teenage Cancer Trust during the year. Christine also had an opportunity to introduce her project for the year, Me & Dee. Another highlight was the presentation of a Melvin Jones Fellowship to a member of my club and my district secretary, Pauline, for her work in raising £20,000 to maintain 10 wells in Niger. After a brief but hopefully inspiring speech setting out some of my ideas for the year it was down to the business of introducing the cabinet and giving them their chains of office and/or lapel pins. They each also received one of my personal banners and pins. The final weekend of July was taken up with the first Council of Governors meeting of 2013-14. It runs from 1pm Friday through to about 1pm Sunday and is one of four opportunities for the 13 DGs from MD105 to get together to receive reports from all of the Multiple District Officers, to consider requests for decisions about the running of the MD and to have a good time doing it. I felt we worked well as a council despite our more casual approach to dress and were well led by our Council Chairman Phil. There were some particularly good discussions on the new MD Membership Strategy and on the future of Long Range Planning in the MD. And so to August. 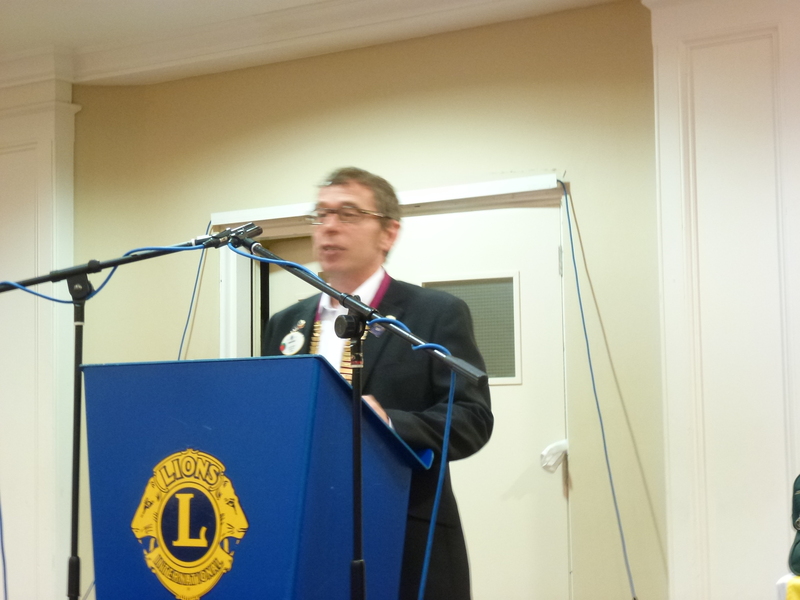 At the time of writing, some time after I started this article, I have completed the first two of my 41 planned club visits to Rushden and District Lions Club and Kidderminster and District Lions Club. Two very different meetings but both enjoyable with plenty of activities being planned by both clubs. Interestingly I visited both clubs a little over a year ago and I’m pleased to say that in both cases the rather downbeat mood has been replaced with a more optimistic outlook. My next post will tell you about my first district cabinet meeting as District Governor which takes place this coming weekend.